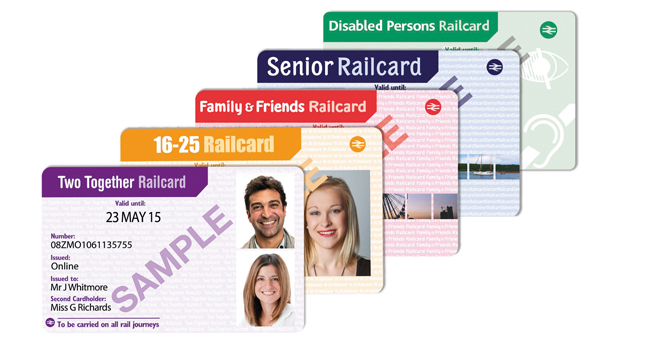 Railcards offer a discount of 1/3 on travel across the National Rail network. Anytime day Travelcard This gives you a same day return to London Marylebone plus travel on London's transport network. You can travel to London and return at any time with this ticket. Travelcard Season Ticket Travelcard season tickets can be purchased for 7 days, or for any length of time between 1 month to 1 year. Family Travelcard With a Family Travelcard you get discounted same-day return travel to London and as many rides as you like on London's tubes, buses and trains. Valid on all trains except those arriving into London Marylebone before 10am on weekdays, it’s available for groups from 1 adult and 1 child up to 2 adults and 4 children. To find out more and purchase a Family Travelcard, please visit your local ticket office. Weekend Travelcard The Weekend Travelcard gives you 2 consecutive days' return travel to London Marylebone plus travel on London's transport network. Our Weekend Travelcard is only available from Aylesbury, Stoke Mandeville, Wendover or Great Missenden. The ticket is valid on Saturdays, Sundays and Public Holidays. *Passengers travelling within the London fare zones (travelling between stations from West Ruislip, South Ruislip, Northolt Park, Sudbury Hill Harrow, Sudbury & Harrow Road, Wembley Stadium, Harrow-on-the-Hill, Rickmansworth, Chorleywood, Chalfont & Latimer or Amersham to/from London Marylebone) can use this ticket from 0930.